At Triple H Home Efficiency Experts, we provide quality wall insulation services using dense packed cellulose. This material fills wall cavities and ensures that your home is fully insulated and remains comfortable and energy efficient. If you want to upgrade your home's insulation, give us a call today at 1-866-977-6917 or click below! We provide complete home energy audits and offer free estimates on all our insulation services in Brookhaven, Islip, Huntington and the surrounding areas. If you have uncomfortable rooms or rising utility bills, call the experts at Triple H Home Efficiency Experts today. Our comprehensive insulation services will ensure that your home is as comfortable and energy efficient as possible. Call us today at 1-866-977-6917 or contact us online to get a free estimate on wall insulation or to schedule a complete home energy audit. 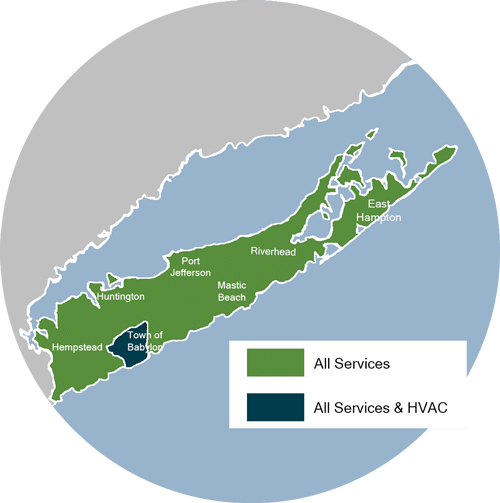 We offer all our home energy services in Brookhaven, Islip, Huntington, Smithtown, Huntington Station, Bay Shore, Brentwood, West Babylon, Ronkonkoma, Central Islip and throughout the surrounding areas.